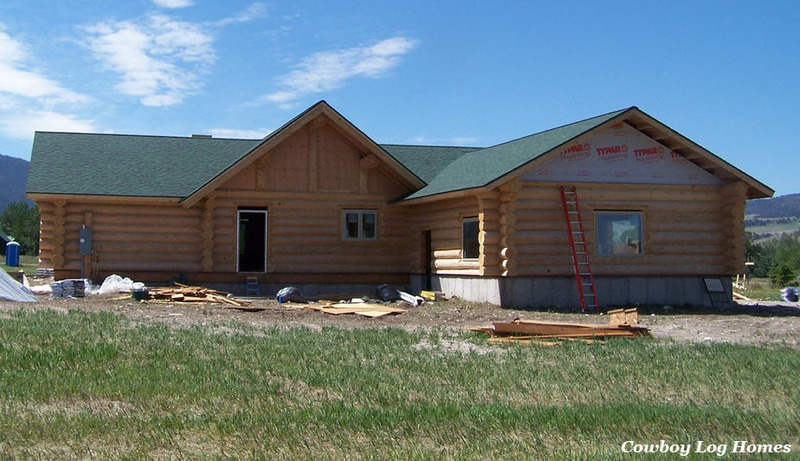 We are now up to day nine of the stack and build of this log home here in Bozeman, Montana. The roofing is now finished and we have begun on the soffits and installing the windows. Yesterday the prep work was done with the installation of the window and door bucks. So within about 2 1/2 hours this morning the doors and windows were installed. 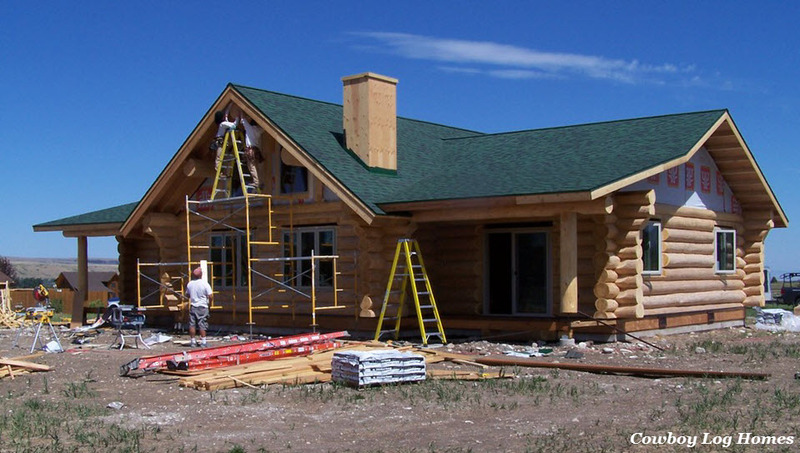 Focusing on the high work first, after the doors and windows were installed we set up for the soffit on the front of the log home. This gable reaches to a height of 22 feet from the ground level to the top of the peak. The soffits of a log home are basically the underside of the roof. For this we used 1×6 Pine Tongue and Groove. On the gables the soffit goes horizontally. 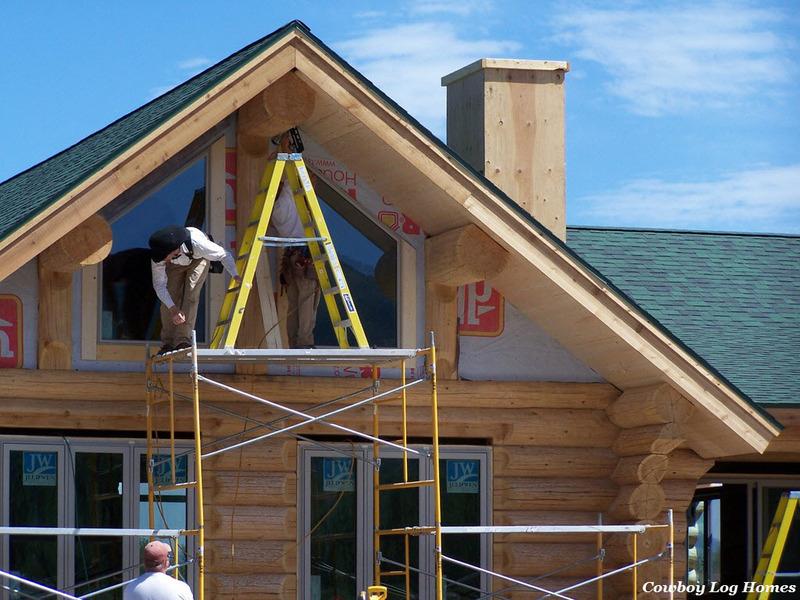 On other areas of the log home the soffits run horizontally, following the roof line. 1×6 Pine trim boards are also being cut and fit around the trapezoid windows. 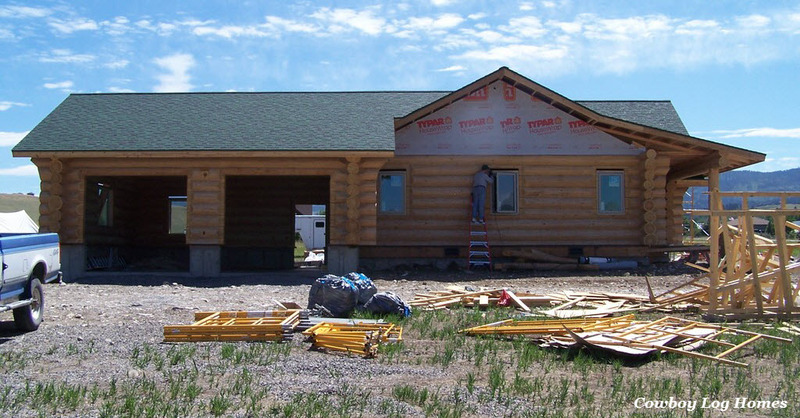 Moving to the west side of the log home we see the three windows on the master bedroom wing have been installed. Also the front entry door and the sliding glass door are visible. Notice the space above the windows and doors. This is the shrinkage channel that we introduced yesterday. These areas will eventually be filled with insulation, covered with house wrap, and the final trim boards. The shrinkage gaps are more visible in this photo. The open areas along the edge of the roof (over Mike’s head) are were the soffits will be installed. As the back of the home comes into view we can see the door jamb for the rear exterior door has been installed but the door has not yet been hung. The kitchen window, to the right of the door, and the two large garage windows are now in place. The weather has been warm and not windy so work has been progressing steadily since July 11th when we began stacking the logs. And finally the east wing of the home comes into view. 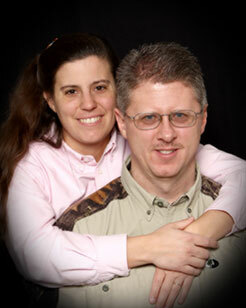 Please note that any of these log home pictures can be enlarged by clicking on them.